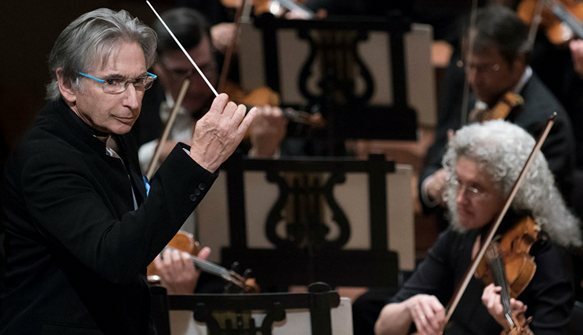 Following the major undertaking of the semi-staged production of Modest Mussorgsky’s opera Boris Godunov next week in Davies Symphony Hall, Music Director Michael Tilson Thomas (MTT) will wrap up the 2017–18 season of the San Francisco Symphony (SFS) with two more subscription programs. The first of these will mark the conclusion of Russian pianist Daniil Trifonov’s season-long residency with SFS, which will be his one appearance with the ensemble as a concerto soloist. Through his concerto selection Trifonov will bid farewell to SFS with an appropriately grand gesture, a performance of Sergei Rachmaninoff’s Opus 30 (third) piano concerto in D minor. To prepare the audience, MTT has chosen to begin the program with Jean Sibelius’ last two completed symphonies, the sixth (Opus 104 in D minor) and the seventh (Opus 105 in C major). This concert will be given four performances, at 8 p.m. on Thursday, June 21, Friday, June 22, and Saturday, June 23, and at 2 p.m. on Sunday, June 24. 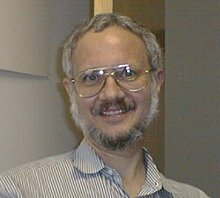 There will be an Inside Music talk given by Peter Grunberg that will begin half an hour before the performance. Doors to the Davies lobbies open fifteen minutes prior to the lecture. Ticket prices range from $15 to $159. They may be purchased online through the event page for this program on the SFS Web site, by calling 415-864-6000, or by visiting the Davies Box Office, whose entrance is on the south side of Grove Street between Van Ness Avenue and Franklin Street. The Box Office is open from 10 a.m. to 6 p.m., Monday through Friday, and from noon to 6 p.m. on Saturday. The event page also has an embedded sound file of KDFC’s Rik Malone’s podcast about the Rachmaninoff concerto and sound clips of previous SFS performances of Sibelius’ Opus 104 symphony. Flash is required to play these sound files. The final program of the season will be devoted entirely to Gustav Mahler’s third symphony in D major. This is not the longest single composition that Mahler ever wrote. That honor will go to the eighth symphony in E-flat major, which usually clocks in at around two hours, while the third is usually about half an hour shorter. However, the third can claim to have Mahler’s longest first movement, which generally requires more than half an hour. Mahler himself divided the symphony into two parts, the first of which is only the first movement. The second part then consists of the remaining five movements, each of which originally had a programmatic title in the form “What … Tell[s] Me,” with that space filled in by “the flowers in the Meadow,” “the Animals in the Forest,” “Man,” “the Angels,” and “Love.” The original plan included a movement for “the Child;” but that movement became the conclusion of the fourth symphony in G major. Like the eighth, the third symphony requires both choral and solo vocal resources. However, when compared with the eighth, the requirements for the third are much more modest. The choir consists only of treble voices, which will be provided by both the women of the SFS Chorus (Ragnar Bohlin, Director) and the Pacific Boychoir (Andrew Brown, Director). The only vocal solo is for mezzo and will be sung by Sasha Cooke. This concert will be given three performances, at 2 p.m. on Thursday, June 28, and at 8 p.m. on Friday, June 29, and Saturday, June 30. The Inside Music talk will be given by Elizabeth Seitz. Ticket prices range from $35 to $155. They may be purchased online through the event page for this program on the SFS Web site, by calling 415-864-6000, or by visiting the Davies Box Office, whose entrance is on the south side of Grove Street between Van Ness Avenue and Franklin Street. The event page also has an embedded sound file of KDFC’s Rik Malone’s podcast about the symphony and sound clips of previous SFS performances. Flash is again required to play these sound files.